Spring Clean 2013 – Thank You!! 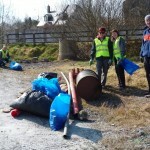 Saturday April 6th was Spring Clean 2013 and it was great to see volunteers from Clane Tidy Towns, Tír na Móna and many Residents’ Associations all out on the day giving Clane and it’s environs a thorough clean-up. 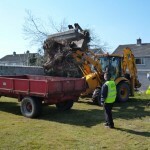 Many Residents’ Associations also took advantage of the fine weather to tackle their estates, and several trailer loads of clippings and litter were gathered and removed. 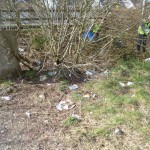 Whilst more than two large skip-fulls of rubbish were collected in this year’s event, it was heartening to note that areas receiving deep-cleans last year did not need serious attention this year. Perhaps an increasing awareness of recycling opportunities, a growing intolerance towards pollution in our countryside and a string of successful prosecutions for illegal dumping are beginning to pay dividends. However we must continue to be vigilent. Please report any dumping to Clane Tidy Towns or the Kildare Litter Warden hotline at 1800 243 143. A big thank-you to all who contributed to the event, and especially to Cllr Padraig McEvoy for coordinating the activities in Clane. 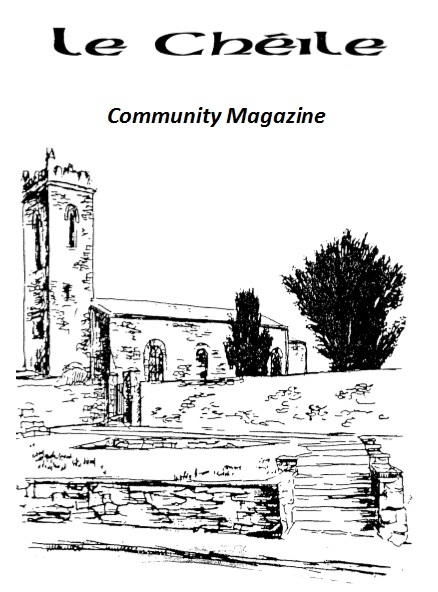 This entry was posted in Clane Community Council, Tidy Towns and tagged Clane, Spring Clean, Tidy Towns on April 9, 2013 by admin.